It all began during my freshman year of high school, in my intro computer science class – or, in other words, a crash course in Mavis Beacon Teaches Typing. Even back then I was an avid writer and had already more than mastered the art of word processing, so usually this class ended with me and some friends goofing off, watching some crude or ridiculous videos (sample: Exhibit A), and just plain doing whatever the crepes we felt like. 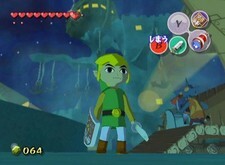 the Archenemy and learned that there was, in fact, a new Zelda game in production – what was to become The Wind Waker. But towards the tail end of freshman year, I started getting frequent cases of strep throat. No one could figure out why for the longest time, so I just kept taking antibiotics in hopes that eventually they’d quell the outbreaks for good. In the end it only got worse – the strep triggered an onset of rheumatic fever, a sometimes-deadly disease that occasionally progresses from strep infections. The end result was terrible arthritic joint pains that made it difficult – and eventually impossible – to walk. I had to be taken out of school right at the end of the year, which resulted in me missing my exams and effectively eating away at the whole first month of summer due to the fact that I had to be confined to a wheelchair. Understatement of the year: it really, really sucked. My parents took it pretty hard I think, and I know they wanted me to have something to do to keep myself busy but between all the bills to make sure my health was cared for (let’s not get into the subject of the countless doctor’s visits) they couldn’t really afford to buy anything themselves, so they had one of our family friends from down the street take me to the store to go buy a new video game. I went to the Target down the street, poked around a bit, and saw The Wind Waker. I almost breezed over it completely, but then I did a sort of double-take, asked an associate to get it for me, and a few minutes later I popped it into my GameCube and started it up. I don’t think I reallyput it down until three days after that. In a time when I was feeling positively helpless, Wind Waker was the perfect escape. Not only did I have something to keep myself occupied, but I was able to put myself in the Great Sea universe and let myself be Link. It was the first and only time I really got that feeling, but it was exactly what I needed at the time. 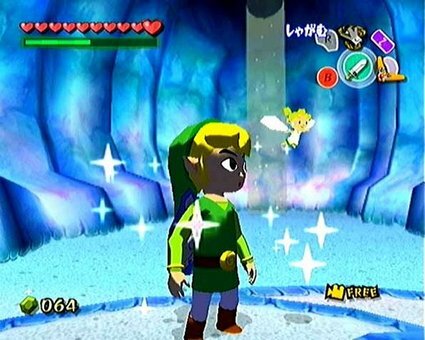 In the world of Wind Waker, I wasn’t crippled – I was a mighty hero. 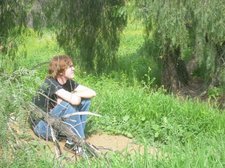 I wasn’t down and depressed – I was motivated and empowered. I don’t feel that I can do justice to how satisfying the experience was. I could easily have just grown moody and sullen, but this sense of activity trickled into the other parts of my life – my friendships, my extracurriculars like my church youth group, and my own self-therapy to try to get myself out of the chair. Somehow, I learned the true meaning of joy – I became the happiest I think I’d ever been up to that point, and managed to be more outgoing as well. The Wind Waker became a symbol of overcoming the adversity I faced, and with it as my constant companion I was able to keep up my motivation and within a month-and-a-half or so got myself walking again, just in time for my family’s summer vacation. From there I went on to have many more adventures – I went to Disney World in Florida with my high school marching band, on a hiking trip along the cliffs overlooking one of the Great Lakes in Canada, and, of course, countless trips back into Hyrule to take up a sword and battle adversity.